Club.BMABA is available to all members of our association. 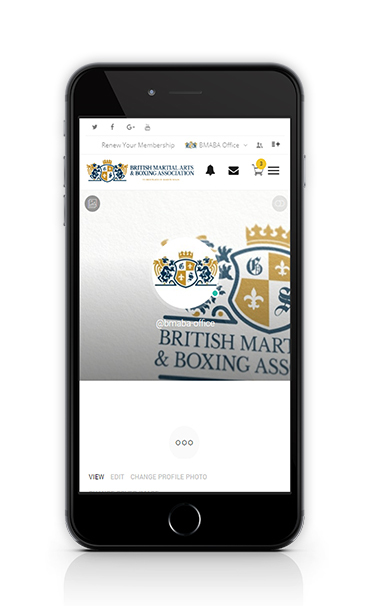 Club.BMABA is the British Martial Arts & Boxing Association’s industry leading member’s only area, packed full of resources, tools and features to help you run a better club. Frankly, we can’t believe other association’s don’t bother to provide decent, secure and useful member’s only areas for their instructors. 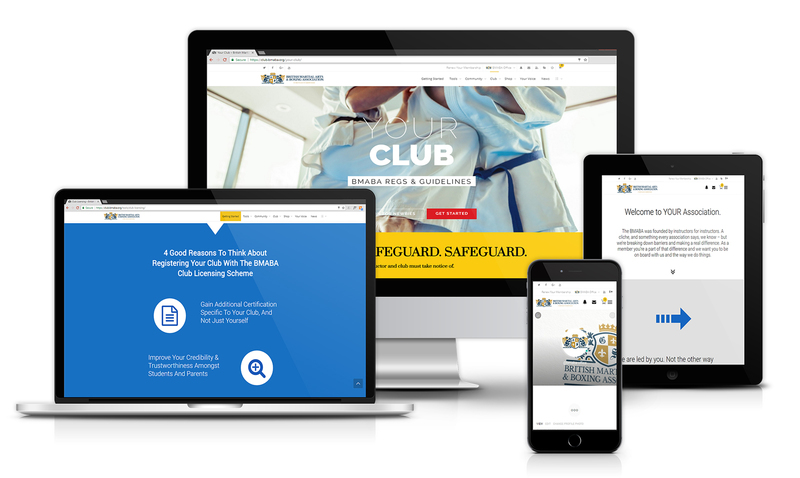 Our’s is packed full of resources, tools, licensing services, products, insurances, community features, blogs and more to help you make the most of your membership, run a better club and save money. Logos, pass marks & icons to show you’re licensed and registered with a leading professional organisation. 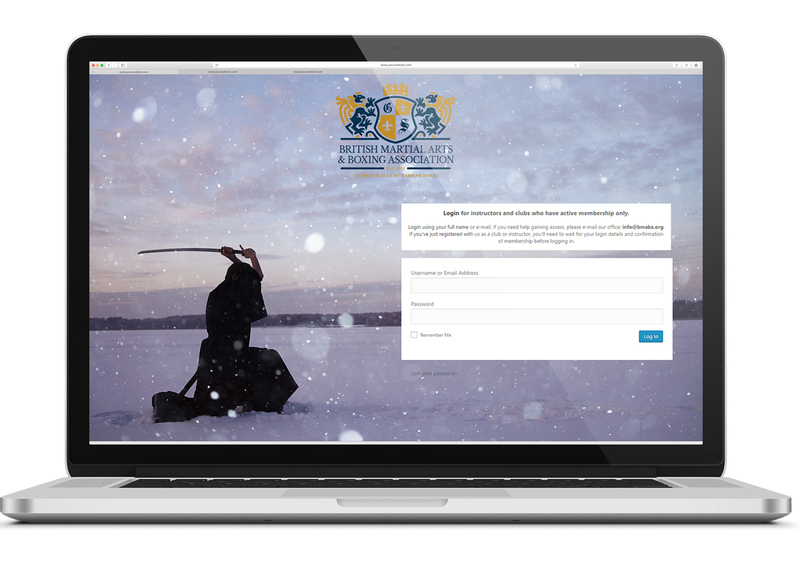 Join a new social project to build an online martial arts network to help clubs, students & enthusiasts connect. Explore resources, tools & articles to help you market your club online. Find and download grading certificates, awards and achievements to give to your students. Get a free premium listing at British Martial Arts to help promote your club & attract new students. List your club with an online directory ad at our main site, to help grow your club. Get your club online with a completely free club website. Download ready to edit template documents and forms to help you better manage your club. Get help designing your own club logo & access discounted professional design services. Access a range of support, services & templates to help you design professional club stationery. Access discounted printing for business cards, flyers & a range of other relevant club stationery. Access template risk assessment forms & advice to help you understand, avoid & prepare for risks when teaching. Access free & professional reference services to help you with sport related or career related references. Get help designing your own in-club clothing & access discounted print services. Get advice on transporting training weapons & certification to help back you up. Register, insurance & license your students. Explore how to insure yourself for professional instruction. Insure your event for public liability. Join our national scheme to help elevate standards of gradings. Certify your teaching syllabus as unique & professional. Transfer existing qualifications to BMABA ratified equivalents. Register additional full & trainee instructors. Verify your account & show the public you’re professional. An essential must have for anybody working with children or vulnerable adults. Find approved first aid training providers. Get paperwork to help safely transport training weapons. 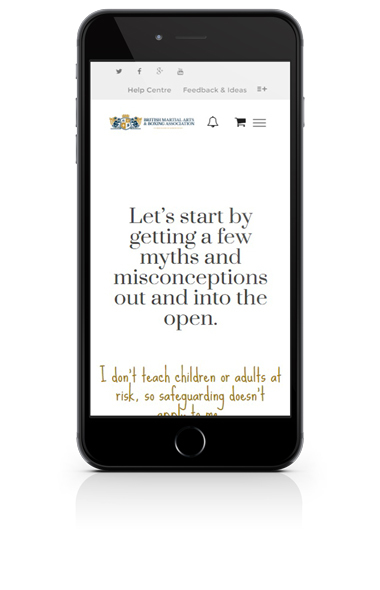 Essential online training for safeguarding standards & knowledge. Access online training, guides, courses & certification to help you develop. Enjoy a secure and private member’s only area reserved just for our instructors and clubs. Everything from community profiles, documentation and files, business support, equipment and supplies, student registration and more all available 24/7, 365 days a year from a secure account. Gone are the days of requesting products by e-mail and messing around with cheques and forms. Our member’s area includes a fully functional online store with order tracking, courier information and an interactive online catalogue. We also have a custom product designer so you can create your own t-shirts, hoodies, uniforms, documents, accessories and more online. Affordable, flexible and secure. Nice and easy! Register students, get the latest business support, keep in touch with other instructors and more straight from your mobile. Optimised, secure & fast to load. Sorted. Why Settle For Less From Your Association? Why settle for just the bare-bones of associationship? Join the BMABA and enjoy access to business support, club guidance, resources, advertising, a free club website, a growing community, networking opportunities, logos & accreditations, online e-courses, equipment and supplies plus loads more. Available 24/7 from a secure, individual account.